It’s pretty scary to sit here and type that I have now been at university for five years. At the age of 23, I’ve completed my undergraduate and Masters degrees at the University of Oxford, and I’m now hard at work on a PhD programme at the University of Leicester. In my long career as a university student, I've recieved pretty much every study tip or piece of advice in the book, some a lot more useful than others. "Don't study hard, study SMART" is a saying that gets bandied about quite a lot, but what does this actually mean? I've learned over the years that there is no simple recipe for studying smart, learning is such an individual process that will take different forms for different people. 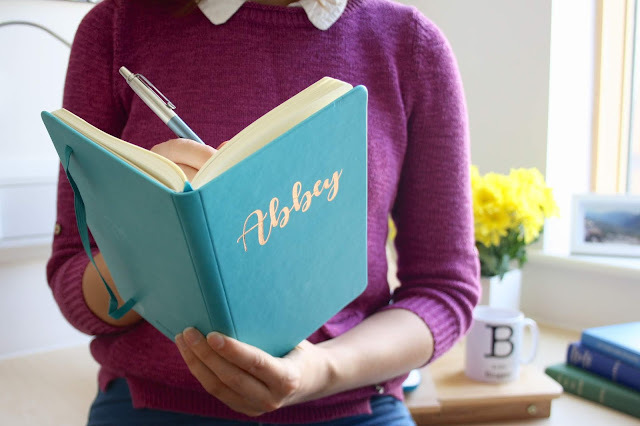 However, I have picked up some very helpful habits in my student days which I thought I'd share with you today, as well as showcasing some gorgeous personalised stationery from Ryman. 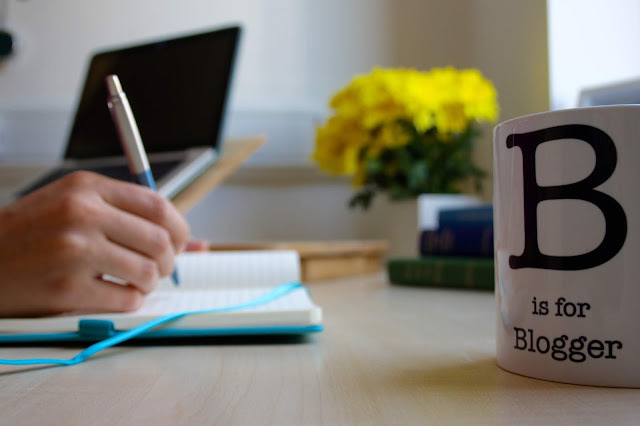 I can't promise that all of these tips will work wonders for everybody, but you may just find one or two that make your life as a student that little bit easier. Let's get started! 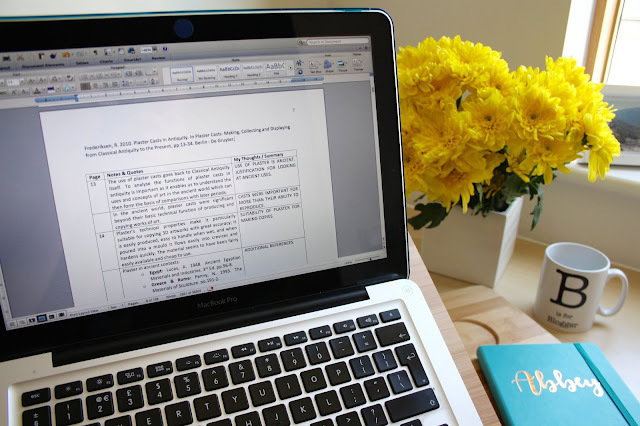 Taking notes whilst doing the reading for your university assignments is simple, right? Open up a Word document or grab a notebook and you’re away! Well, maybe it's time to rethink this. I’ve learned in recent years that there is definitely an art to effective note taking. I now set up my notes in a particular way that makes going back over them during the essay-writing or revision processes a whole lot more straightforward. Allow me to enlighten you. I divide up my note-taking pages into three columns. The first, a thin column, is for the page number. The second is for “notes and quotes” where I transcribe direct quotations from the text I’m reading. The third and final column is for “my thoughts / summary” where I will summarise in my own words the content of the quote and record any thoughts that sprung up whilst I was reading. Taking notes in this way makes it pretty much impossible to accidentally plagiarize because you are separating the exact quotes from your own thoughts, eliminating big worry for students. Having the summary column also helps you to quickly scan your notes and identify what you’re looking for when flicking back through them during the essay-writing process. I couldn’t recommend this process highly enough! For some people, a 9-5 is the ideal routine. But the joy of being a university student, an independent learner, is that we can (to some extent) dictate our own schedules, with the obvious exception of lectures and seminars. We can often feel a lot of pressure to stick to routines that our friends and fellow students have, mostly out of fear of “doing it wrong”, but one of the biggest things that I’ve learned over the past five years is that I don’t need to pay attention to anyone’s schedule but my own. Lately, I’ve been experiencing post-lunch energy dips where I’m just not productive, no matter how hard I try. During this time, if I push myself to work, I usually just end up procrastinating which really isn’t helpful! To combat this, I’ve decided simply to take a longer lunch break, leaving the library and going home to do some jobs around the house or read a bit of my book. In the late afternoon, I start working again and continue into the evening. I find that ruling my own schedule in this way, rather than worrying about working 9-5 as many others do, makes me the most productive. My advice to any student is not to concern yourself with however your friends run their days, just experiment and find what works for you. There is no single correct way to study! Find resources for your subject online: Maybe someone has made a YouTube video summarising your topic? Or a student blogger may have covered it? Go on the hunt and see what you can discover! I know I'm not the only one guilty of "taking a short break" and then finding myself watching ANOTHER episode of Ru Paul's Drag Race two hours later. Regulating your breaks is therefore very important, to make sure that you're taking much needed time away from your laptop but not wasting hours to procrastination. But how to do it? I've mentioned the Pomodoro Method of time management before in my working from home blog post, and I still swear by it today. All you need to do is set a timer on your phone for 25 minutes and commit yourself to working properly during this time. No Facebook, no Twitter, and no texting during this time, folks! When the timer goes off, set another timer for 5-10 minutes and use this as your breaktime. Get up and go for a walk, grab a snack, do whatever you need to do. Then repeat the process: 25 minutes work, 10 minutes break, and keep going until your work is done. By setting a timer for your break as well as your work time, you'll be a lot more productive and your breaks won't go on for hours! It sounds simple but it really works. When studying, your computer can be your best friend or your worst enemy. 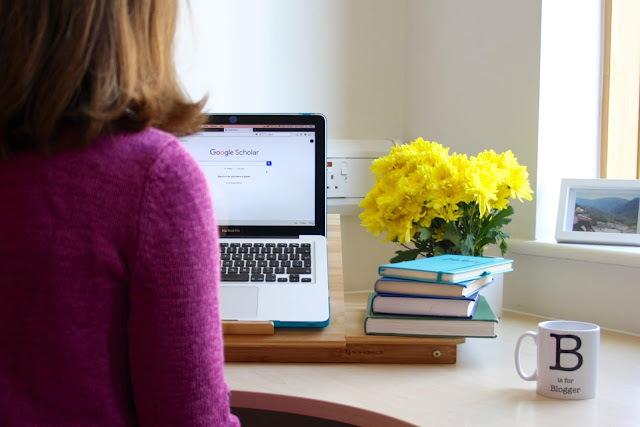 Yes, your laptop is the portal to The Sims, Netflix, and any other form of distraction known to man, but it can also provide some incredibly handy methods to speed up your studying. Handy programmes found on the web include MindMup, a free mind-mapping website that can help you to organise your ideas. The beauty of mind mapping on your computer instead of doing this on pen and paper is that you can move the branches of your computer generated mind map very easily, allowing you to restructure what you've written. Using referencing software such as RefWorks or EndNote is another fantastic time saving idea. By entering your references using the software instead of managing them manually, you can generate a bibliography for your work in the click of a button, making the process massively more efficient and eliminating formatting errors. Many universities provide access to this referencing software for free, so make use of it if you can! Very often, studying is the last thing you want to be doing, especially on a warm summery day during exam season. Therefore, creating an incentive for yourself that encourages you to hit the books is an essential. Incentives can come in the form of a few treats that motivate you to study in the first place, or rewards that you can give yourself after the work has been completed. If the former method appeals to you the most, I can wholeheartedly recommend purchasing a few goodies in the form of personalised stationery from Ryman. Nothing makes me want to start a study session more than the prosepct of a new notepad to write in, especially when they're as beautiful as the soft cover notebook that I was gifted for this post. The paper is of exceptionally high quality (70gsm) and the cover and elasticated closure are very sturdy. 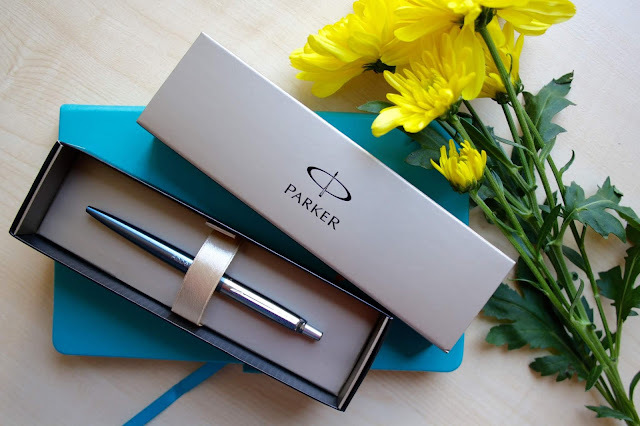 I was also lucky to receive a personalised Parker jotter pen to use with my new notebook. This came in a gorgeous presentation box, making it ideal for gifting to others as well as a present for yourself. 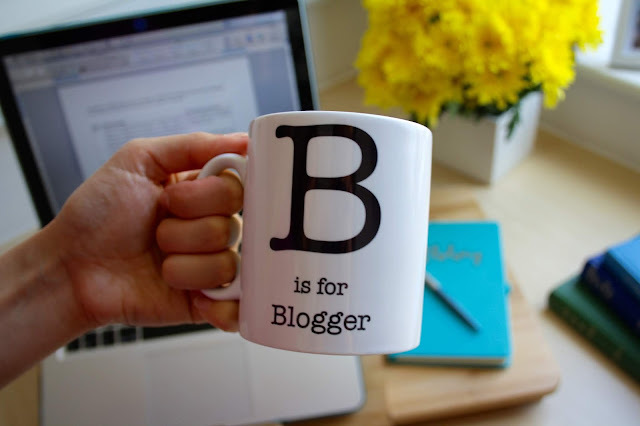 Finally, I recieved a personalised mug with the text "B is for Blogger" which always puts a smile on my face! It's important to keep hydrated while you're studying, and this mug is sure to keep me fuelled with endless cups of fruit tea. 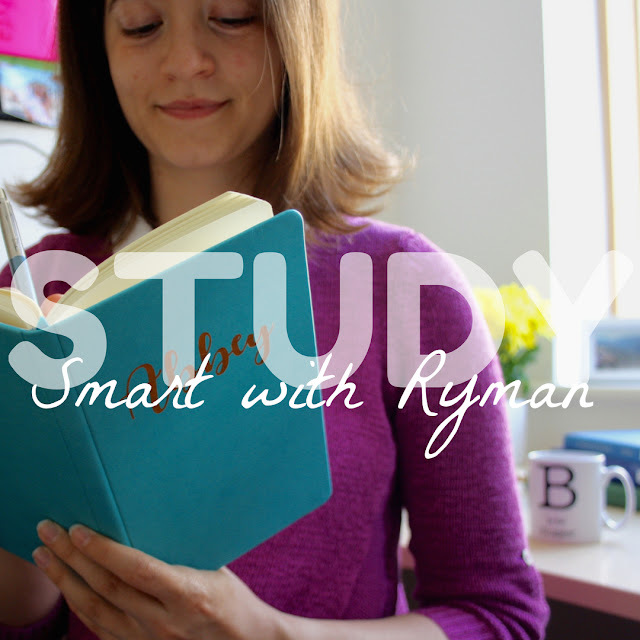 So, if you're looking to incentivise your studying, popping into Ryman is a fantastic way to do it! Do you have any top study tips? Please share in the comments! My May advertisers are a fab bunch!